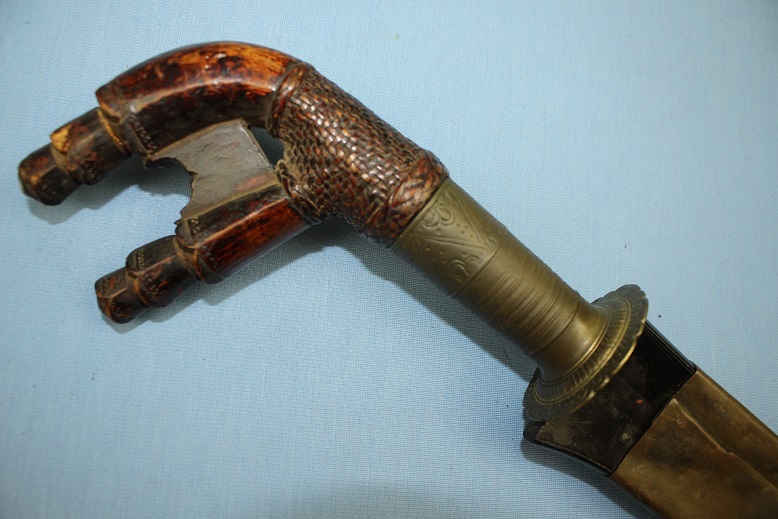 A very good and complete example of the infamous Murut Pakayun. 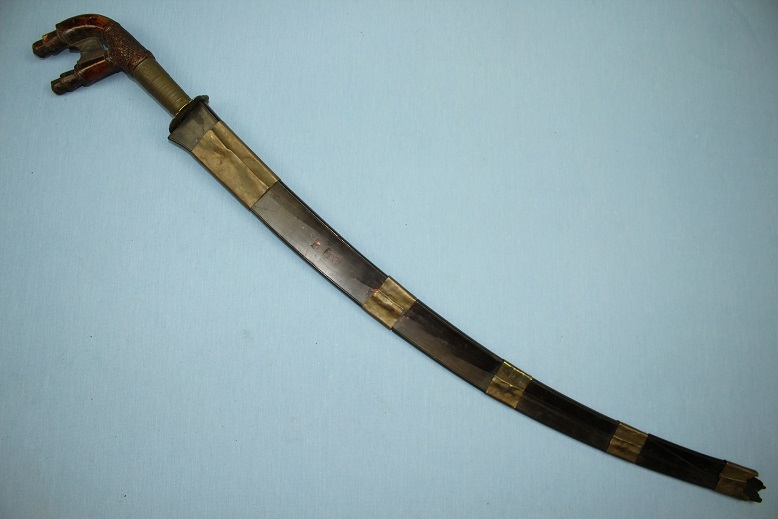 This sword type is well renowned as a head hunters sword with the Murut people being one of the last to renounced the practice of taking and preserving their enemy's head. 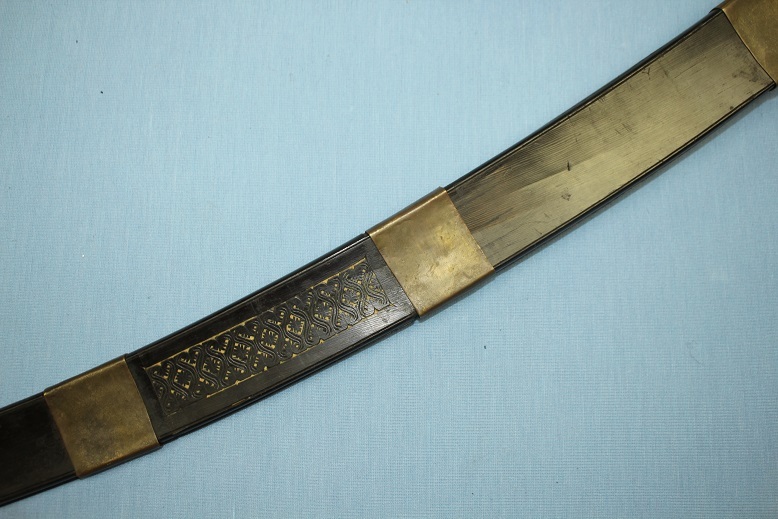 This example measures 90cms long in its scabbard, 89.5cms out, carries a blade length of 71.5cms and a spine thickness of 8.5mm. 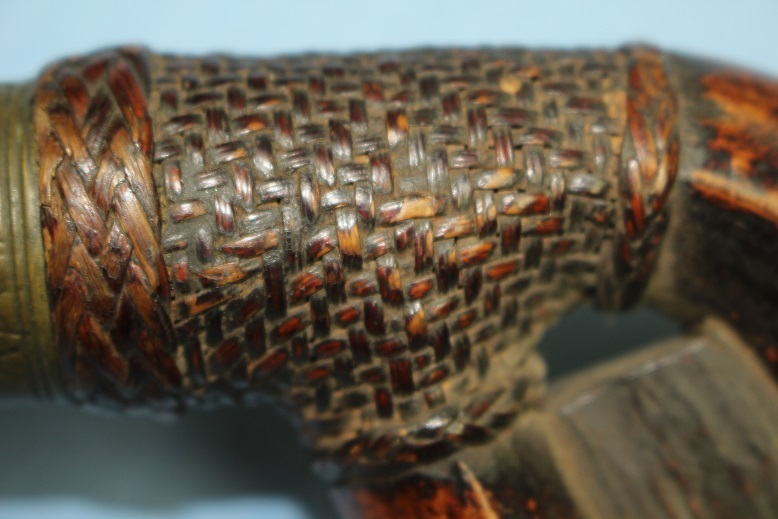 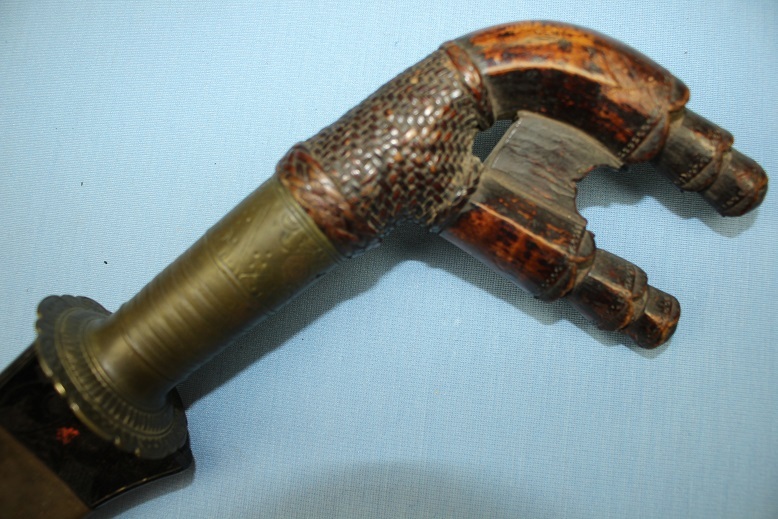 The hilt remains in perfect condition throughout with no loss or damage to the timbers and all the rattan grip wrapping retained. 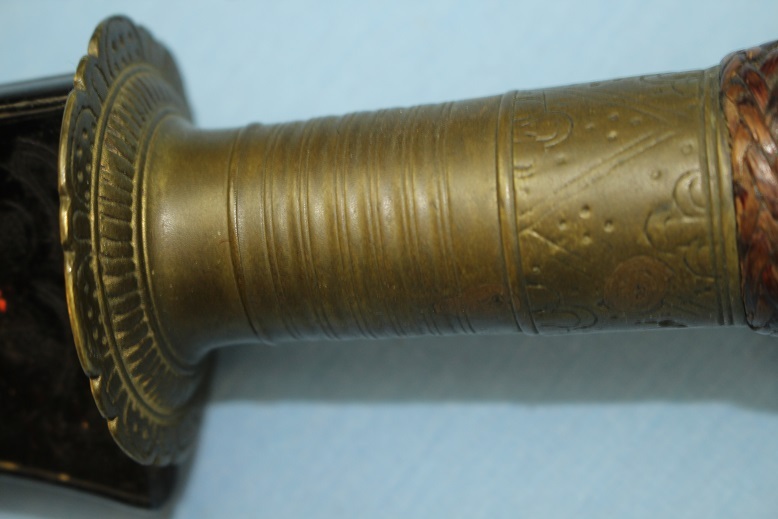 The bronze fore-grip is extremely detailed. 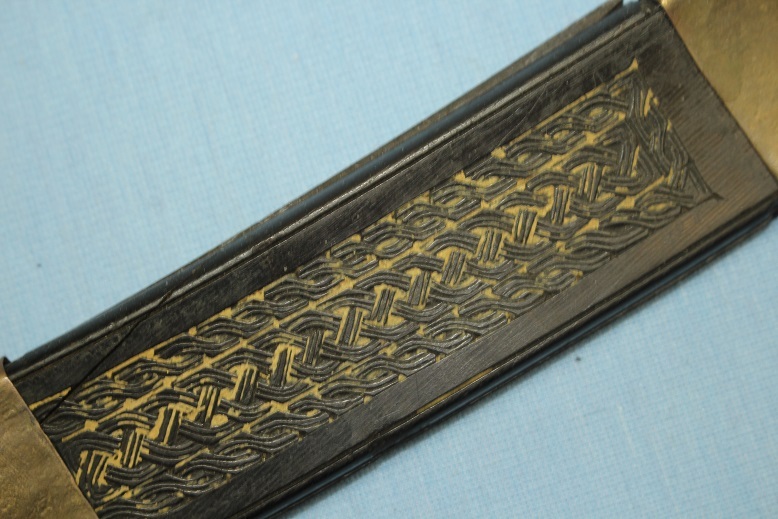 The integral Tsuba like guard is cast in the traditional manner with the design and motif elements akin to those found on mainland Vietnamese and Cambodian dah. 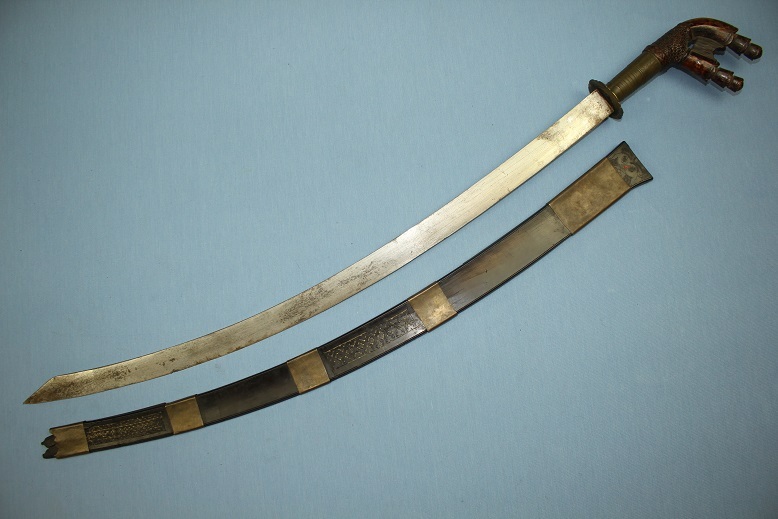 The blade is robust, well weighted and very well balanced. 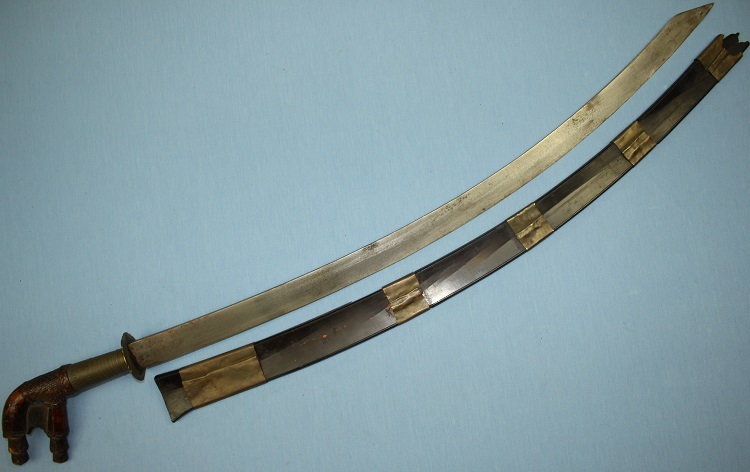 The cutting edge is extremely sharp and a clear hardened edge is visible beneath the blades undisturbed patina. 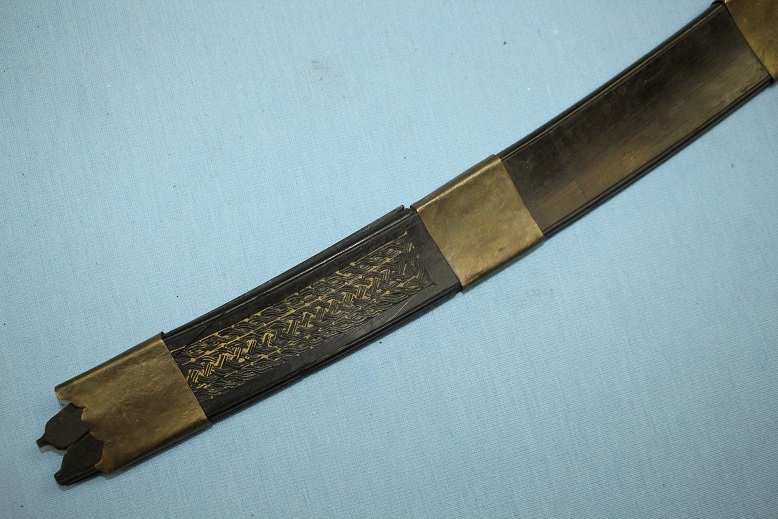 The scabbard is bound in 5 sections of brass or tin plate. 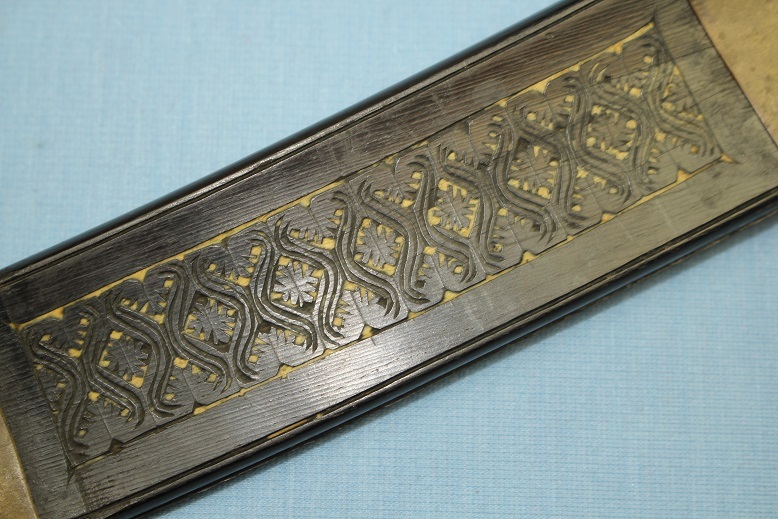 The inner timber face is without decoration and the outer is decorated with two distinctly different carved panels. 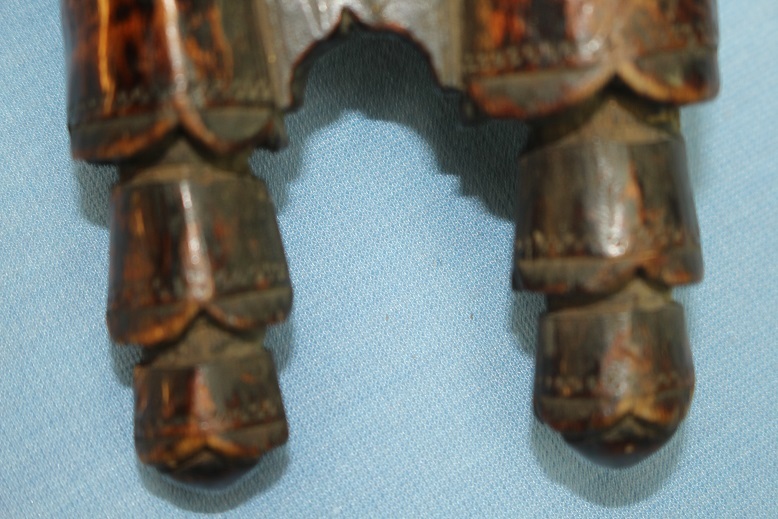 Red pigment is exposed in several places on the timber, it is what appears to be an original base coat of some kind, possibly used to accentuate or preserve the fine grained timber used for the scabbard. 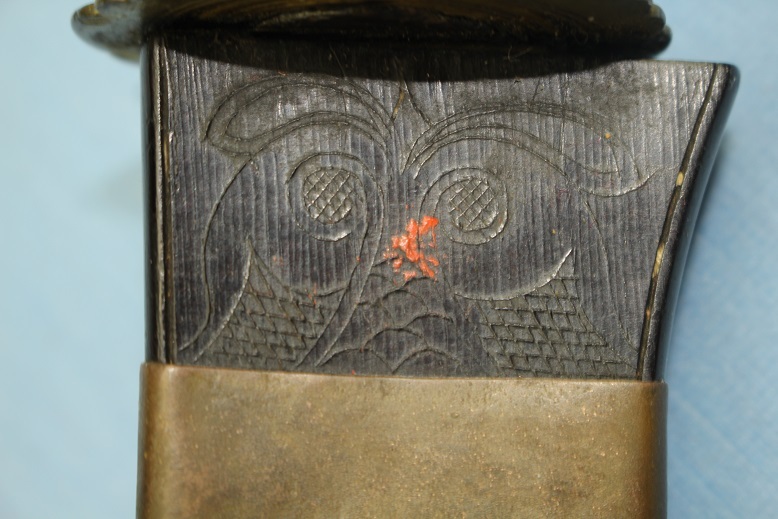 There is minor loss to the base and spine area of the scabbard and stable age cracks to the rear. 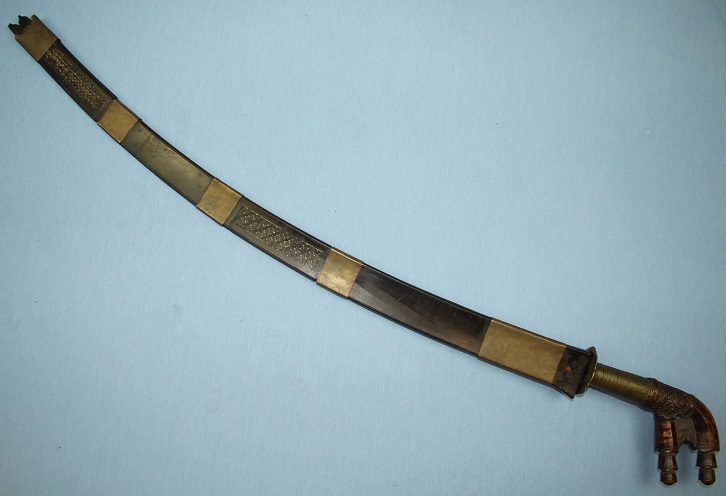 A very good and complete example of a head hunters sword.